You know who’s at fault, and you know it is not you. While that is great, there must be evidence to support it, and there is likely a lot you can do to prepare for your personal injury lawsuit. 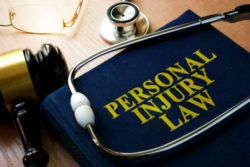 If have been injured lately, and are suing, keep these three tips in mind when preparing for your personal injury lawsuit. The Statue of Limitations states that there is a certain amount of time that you have to file your lawsuit, or else it will not be a valid case to be made. If you are considering suing, make sure you haven’t exceeded your time limit to do so. This can be done with an attorney, or possibly even found online. Do not talk about the case on social media. At all. Whether it be a case that is already going on, or information about a case you plan on making, do not give any information about the case you are planning on making out on social media. If you got hit by a car, or if you got bit by a dog, or any other case of personal injury, do not post anything about it on your social media accounts. Reason being, the other party will be able to use that against you, and it could really hurt your chances in court. The faster you can get all information and evidence to your attorney, the better the chance you have of winning in court. They will be able to provide you with the best possible information as to what you should do to prepare for court. If you have been injured due to someone else’s negligence, make it an effort to contact Stoloff Law today. Our attorneys will do everything in our power to deliver you the results you’re looking for. Contact our offices today to set up a consultation.